>U.S. and French military and civic leaders attended the Lafayette Escadrille Memorial event in Marnes-la-Couquette, France, yesterday, to commemorate the centennial of the flying squadron’s formation. The Lafayette Escadrille was formed on April 20, 1916 by 38 U.S. volunteer pilots who flew under French command a year before the U.S. entered into WWI. 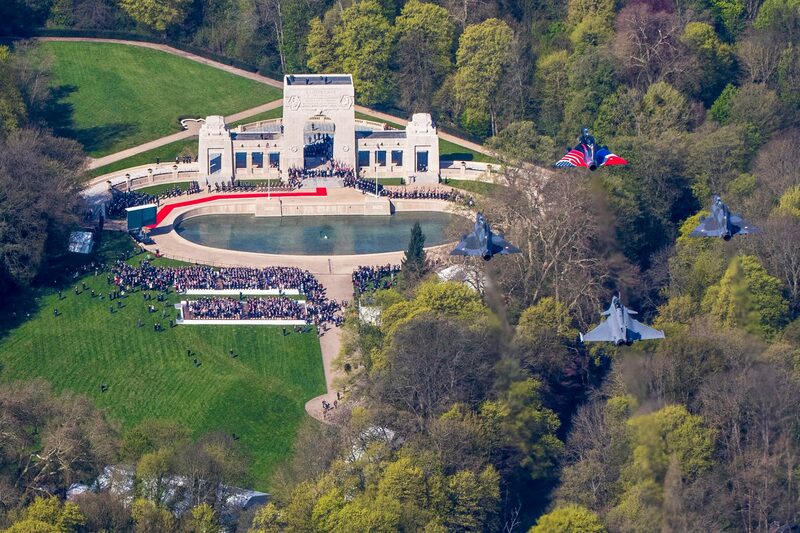 The memorial celebrates not only the 38 original pilots of the Lafayette Escadrille, but all 269 American pilots who flew with the French Air Force as part of the larger Lafayette Flying Corps, 68 of whom were killed during the war and are interred at the memorial crypt. Secretary of the Air Force, Deborah Lee James, remarked that, “We also honor all French and American citizens who have devoted their life to protecting our shared ideals. 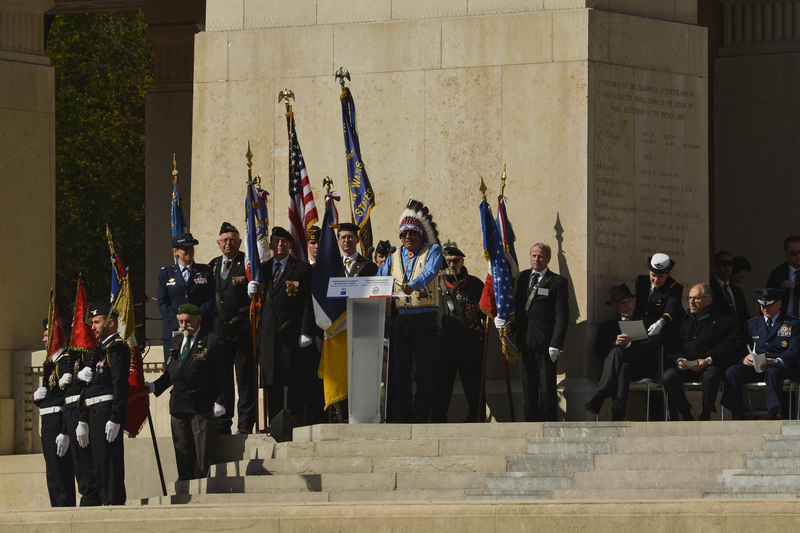 These valiant Airmen laid the foundation for an American Air Force that will forever stand with France.” During the ceremony, U.S. Ambassador to France, Jane Hartley, along with French Minister of State for Veterans and Remembrance, Mr. Jean-Marc Todeschini, addressed those gathered for the memorial event.Both Hartley and Todeschini emphasized the sacrifice that the men of the Lafayette Escadrille made 100 years ago to fight for their country’s shared values and to defend their freedoms just as the men and women of the U.S. and French militaries continue to do today.The ambassador acknowledged two individuals in particular that were in attendance at the event. “We salute the courage and sacrifice of all the Tuskegee Airmen, and especially the two here with us today, Mr. Eugene Richardson and Mr. Theodore Lumpkin,” said Hartley. The Tuskegee Airmen were in attendance in honor of the world’s first black aviator, Eugen Bullard, or as he was better known, the Black Swallow of Death, who flew with the Lafayette Escadrille and ultimately earned France’s highest military decoration, the Legion of Honor. 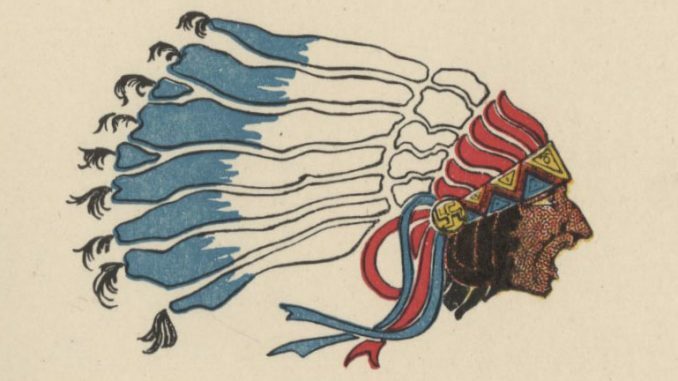 In speaking of the significance of the Lafayette Escadrille’s formation, Lt. Gen. Timothy Ray, 3rd Air Force Commander, commented, “I’m reminded, of course, of the great relationship between the French and the American people. We had a tremendous alliance. They were a huge part of our nation and its birth, and we were a huge contribution to helping them in the First World War.” The relationship that Ray refers to is the 238-year alliance that exists between the U.S. and France with a long history of shared values and sacrifice. The centennial of the Lafayette Escadrille exemplifies this relationship. 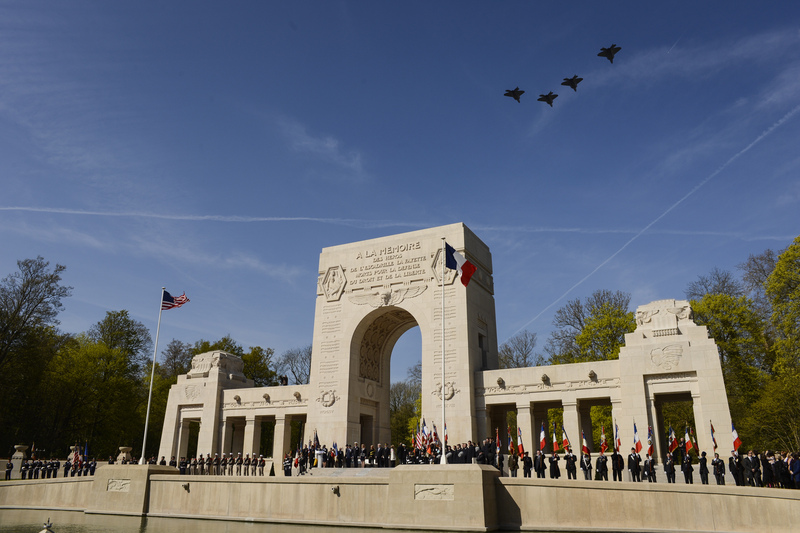 Throughout the ceremony there were a total of three flyovers in honor of the men of the Lafayette Escadrille. 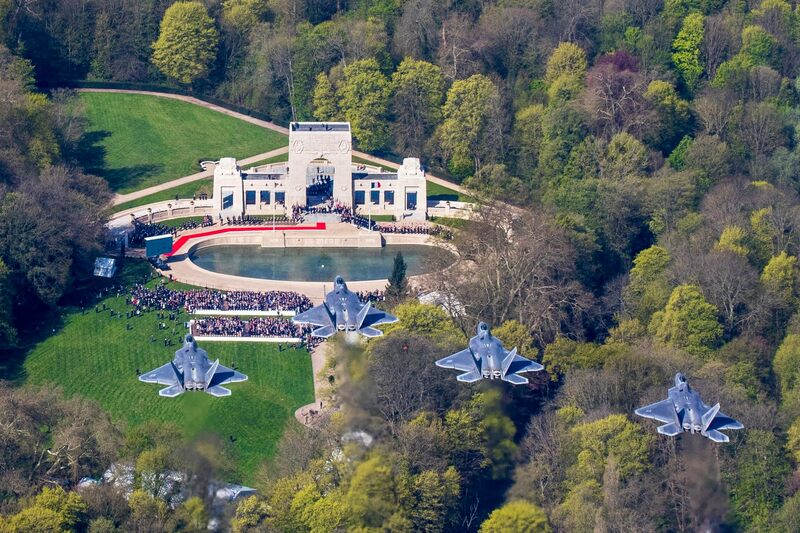 In addition to paying respects to the fallen pilots, these flyovers served as a demonstration of the evolution of airpower from WWI to modern day. 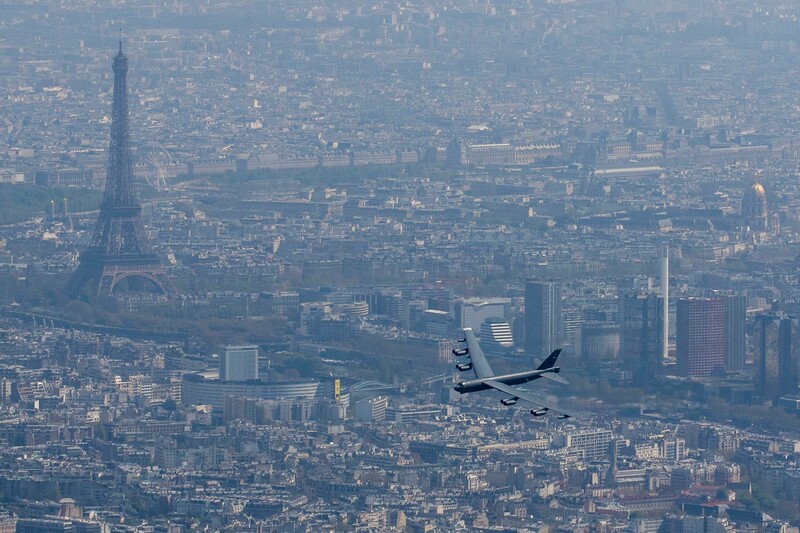 Participating in the flyovers were four USAF F-22 Raptors, a B-52 Stratofortress, three FAF Mirage 2000Ns, a FAF Rafale and a World War I-era Stearman PT-17 biplane. The F-22 can trace its lineage back to the Lafayette Escadrille through the 94th Fighter Squadron, Joint Base Langley-Eustis, Va., to the 103rd Aero Squadron, which was the successor to the Lafayette Escadrille when the Air Service, American Expeditionary Force, arrived in France in 1917. The four F-22s that participated in the flyover were from the 325th Fighter Wing, Tyndall Air Force Base, Florida, while two of the participating pilots were from the 94th legacy squadron.Several bomb squadrons can also trace their legacy back to WWI, including the 93rd Bomb Squadron whose lineage goes back to the 93rd Aero Squadron and the distinction of having taken part in 157 combat missions during WWI between the Lorraine, St. Mihiel, and Argonne-Meuse.The B-52 that flew in representation of the 93rd Bomb Squadron during the memorial event was from the 5th Bomb Wing, Minot Air Force Base, North Dakoka.